Here is a cool tool that I have learnt from my dear friend, Berna. If you are looking for an app that will help you to learn and practice vocabulary, Biscuit can be a great tool for that and it’s free, at least for now! With this app, you can create your own vocabulary list and it will give you the definitions immediately. You can keep that list and you can get notifications on your smart phones that will remind you the word and show you the definition. You can also take a picture and Biscuit app will list all the words on that picture. You can save this list, also you can delete the words that you don’t want from the same list. You can also use this app as a dictionary, simply write the word and it will give you the definition. 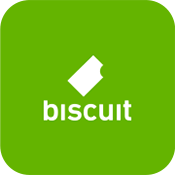 Biscuit has been designed as an extension of Evernote. So it’s not a surprise that Biscuit app is great!! This app is available both on AppStore and Google Play. It is just very useful and fun for our learners and this is something that we can suggest actually anyone who is learning a new language.